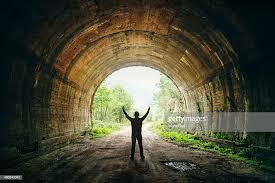 UU A Way Of Life: Is there light at the end of the tunnel? Things are constantly changing and in this observation lies great hope. Mistakes are made and goodness seems blocked from its manifestation. Are we to give up and dispair? Unitarian Universalists are a people of faith who believe in the covenant which, based on the seven principles, removes the blocks and obstacles to the awareness of Love's presence which is with us always. Because we don't see it, doesn't mean it isn't there. We may live in a house where the doors have been closed and the shades have been drawn. The sunshine has been denied entrance into our abode. Seeing the glimmer of light, the crack where the light comes in, we decide to roll up the shades, and open the doors and the Divine floods in providing a warm embrace.